University of Otago, New Zealand. She founded the Centre for the Study of Radicalisation and Contemporary Political Violence (CSRV) in the Department of International Politics, Aberystwyth University. She was 2002-2003 Jennings Randolph Senior Fellow at the United States Institute of Peace. In 1994, she founded the Institute for Conflict Research and initiated The Cost of the Troubles Study, the first study to document the impact of political violence on the population (including children) of Northern Ireland. She has worked with the Special Representative of the Secretary General of United Nations for Children and Armed Conflict. Her publications include a major handbook on political violence (2012) The Ashgate Research Companion on Political Violence. Together with Richard Jackson and Jeroen Gunning she has advocated a more critical approach within ‘terrorism' studies and with Richard Jackson, Lee Jarvis and Jeroen Gunning has authored Terrorism: A Critical Introduction (2010: Routledge) and in 2009 with Jackson and Gunning edited the first book on the topic, 'Critical Terrorism Studies' (Routledge: 2009). 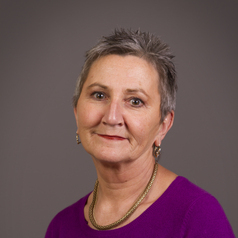 Her other books include Truth and justice after violent conflict: managing violent pasts (Routledge, 2007) and a jointly edited work with Richard Jackson and various works on political violence, research ethics and methods in violent contexts, the Northern Ireland conflict and on counting casualties of political violence. She has made two documentary films on casualties of political violence, one in 2012 on those injured in Northern Ireland conflict https://vimeo.com/60263045 and an earlier one in 2000 on victims and survivors in Northern Ireland https://vimeo.com/60470297.